Lawful Permanent Resident (LPR) Archives - Hacking Law Practice, LLC. What is a re-entry permit and why would I need one? USCIS allows lawful permanent residents to leave the United States under certain conditions. However, if an LPR leaves for more then one year, their LPR card may be deemed invalid. A reentry permit demonstrates to USCIS that the LPR did not intend to abandon their status and will allow for the person to reenter the United States without having to obtain a visa. The reentry permit is only necessary for trips of longer than one year. You must apply for the reentry permit before you leave the United States. You must be undergo biometrics (fingerprinting) in the United States before you leave the United States. You do not have to stay in the United States once your biometrics have been obtained. In such a situation, you should note on your application for reentry permit (I-131) that you want the permit sent to the consulate in the country which you will be visiting. If you have left the United States and been gone for more than one year and if you never obtained a reentry permit, you may need to apply for a returning resident visa in order to be able to come back to the United States. However, you must show that your long stay outside the United States was outside of your control. Obtaining a reentry permit can be tricky. If you need assistance in obtaining a reentry permit, please contact St. Louis Immigration Attorney Jim Hacking at 314-961-8200 or by using our web contact form. 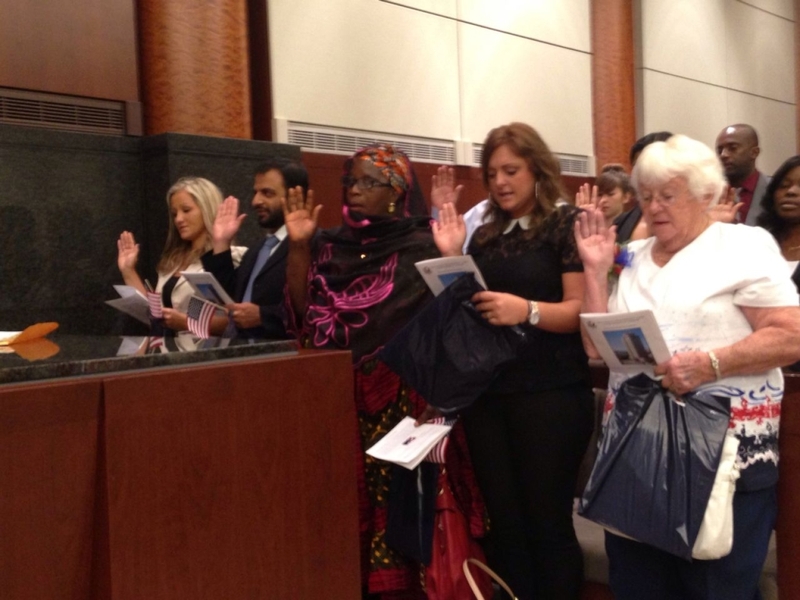 When can the spouse of a U.S. citizen apply for citizenship themselves? Question: How soon after receiving your green card are you able to apply for citizenship? I am a lawful permanent resident and have been married to a U.S. citizen about a year and a half ago. Answer: In order to apply for citizenship, you have to be a lawful permanent resident for 5 years. You can apply 3 months early, so add 4 years and 9 months to the date that you received your green card. If you are married to a U.S. citizen, however, you can apply after (1) you have had your green card for 3 years and (2) you have been married to a US citizen for 3 years. Once both of those things are true, you can apply for naturalization. You don’t want to apply early or your application will be denied and you will lose your filing fee.